Sixteen of the world’s best b-boys battle one on one in an unused power station in the heart of Soweto, South Africa, to determine who will be the next world champion. ‘Turn it Loose’ is a film about this competition. Through the eyes of six competitors we leave behind any preconceived notions of what breakdance used to represent and, as the film digs deep, we discover an extraordinary form of non-contact combat that has evolved over 30 years to become a truly global 21st century phenomenon. From backstage at the Red Bull BC ONE in Soweto, to the backstreets of Senegal, Japan, Algeria, America, France and Brazil, the film combines human drama with the visual intensity of the dance, revealing the passion, sweat and artistry needed to compete at the highest levels. 16 dancers battle it out. Only one will win. Starring RONNIE (USA), HONG 10 (Korea), TAISUKE (Japan), ROXRITE (USA), LILOU (France), BEN-J (Senegal) & RAKAA. Have you checked out the Red Bull commercial with bboy Ronnie? This entry was posted in dance, movies on September 30, 2009 by Kevin Hsieh - channel APA. 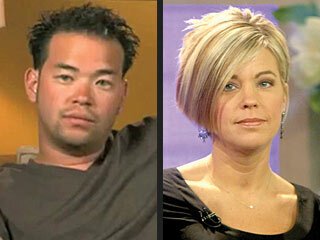 TLC has announced that Jon & Kate plus 8 will adapt to the changing Gosselin family and relaunch on November 2, 2009 under the new title Kate plus 8. The program will continue to capture the incredible lives of the eight Gosselin children and their family but will now include a deeper focus on Kate’s role in the family and her journey as a single mother building the next chapter in her life. TLC will continue its exclusive relationship with Jon Gosselin and he will continue to appear on the show, but on a less regular basis. The series will continue to chronicle the Gosselin family as they go on outings and tackle daily challenges and adventures. It will also document Kate’s journey as a newly single mother raising 5 year-old sextuplets and 8 year-old twins. The ratings have been steadily dropping since the Season 5 premiere and divorce announcement. TLC already capitalized on the higher rating earlier this year with cross promotions with other shows like Ace of Cakes, Emeril, and American Chopper. This entry was posted in kids, tv on September 30, 2009 by Kevin Hsieh - channel APA. A powerful Pacific Ocean earthquake has spawned towering tsunami waves that swept ashore on Samoa and American Samoa, flattening villages and killing more than 60 people. Waves were reported as high as 20ft. Tsunami warnings were placed on locations all around the Pacific Ocean including Japan, Hawaii, New Zealand and the West Coast of the US. Why are there so many natural disasters recently such as Typhoon Morakot in Taiwan and Typhoon Ondoy (aka ketsana) in the Philippines? This entry was posted in tragedy on September 30, 2009 by Kevin Hsieh - channel APA. In New York, John Liu defeated David Yassky with almost 56 percent of the vote for the Democratic nomination for city comptroller. Next up for Liu is the general election in November. He is expected to easily defeat Republican Joe Mendola. 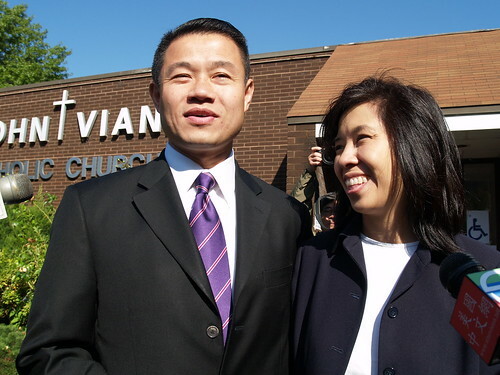 If Liu wins, he will become the first Asian-American elected to citywide office in NYC. This entry was posted in new york, politics on September 30, 2009 by Kevin Hsieh - channel APA. Over the weekend, Yale student Annie Le was remembered by family and friends as a brilliant woman who hoped to change the world through her medical research. Have you seen this Target commercial with an awesome Asian American family? It stars Asian American mom “Shannon”. She’s an active mother that plays tether ball with the kids and works at a travel agency. At home, she invites the grandparents over to spend time with the kids, who like show off the latest dance moves. (One kid will be a future dancer on America’s Best Dace Crew.) With 3 kids (2 boys and 1 girl), she’s gotta get stuff at Target like Oreo Cookies, market pantry granola bars, caprisun, and Suave shampoo. Great commercial by Target. Hope to see more commercials from them. Maybe, we’ll head out to Target now and get some Oreo cookies and Caprisun. BTW – If you like cute Asian kids in commercials, check out Kylie for Windows 7. This entry was posted in commercial on September 29, 2009 by Kevin Hsieh - channel APA.